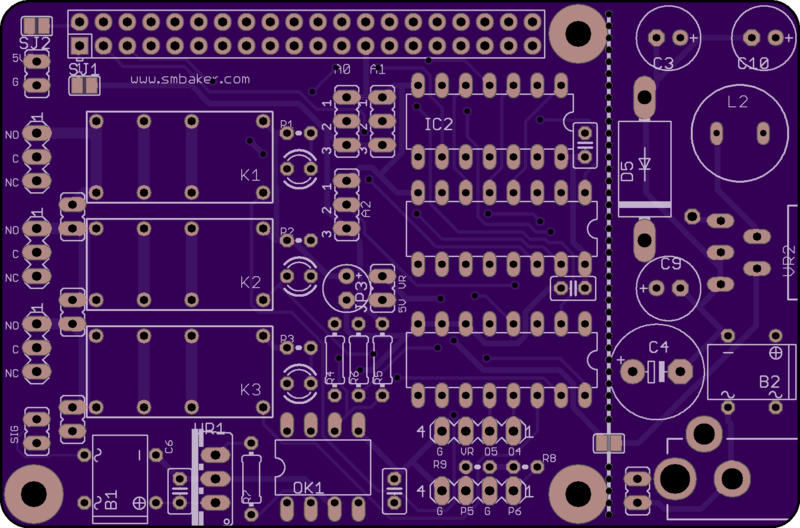 I'm recreating a Raspberry Pi project and ordered a custom Pi hat to follow their schematic. The only issue is that it doesn't have all of the information. I've emailed the creator but am yet to hear a response. The project is here: Converting a Seeburg 3WA Wallbox into a Remote for a Modern Music Player. I'm trying to figure out what the capacitances of C1, C2 and C7 are and where they go on the board as it's not very clear. Based on his photo of his final product, he didn't use one of those capacitors (I think it's C2). My guess is that C1 and C7 are the same. C1, C7 would be the Vcc decoupling capacitor for the I2C parallel port IC_X (no designator in schematic that I can see, but given the footprint right below IC2), and IC2, its located by the notch on IC2 and D5. Normally these are 0.1uf ceramic. IC1 relay driver based on pin connections (6,7,8 going to ground) is to the left of C4 and C2 is the ceramic bypass to to free-wheel diode common (pin 9). C2 is a -polarized- capacitor located just to the left of JP3 (note the + sign when installing). Value there not easy to determine, given typical sizing/voltage at 5V for a 2-3 safety margin of 10-16WVDC I'd say 4.7-22uF given the overall radial diameter. C1 is a bypass capacitor for the IC that is just beside. Since not all the parts are labelled, it's difficult to know where it is placed on the board. My guess would be the one on the center right, before the dashed line. C2 seems to be a bulk cap for the relay, so that there is no power drop when the relay is activated. C7 is also probably a bulk cap for VDD. Although it's not obvious where it's placed on the board and seems it might not be there at all. The circuit could work without those caps, although it is usually very recommended to have bypass cap (like C1) as you might start to get into some very difficult to understand issues if they are missing. For C2 and C7, those are like reservoir of power, the circuit might also work without. Not the answer you're looking for? Browse other questions tagged capacitor or ask your own question. Schematic notation for decoupling capacitor? Can I operate a 12vdc valve using a capacitor and AA batteries? 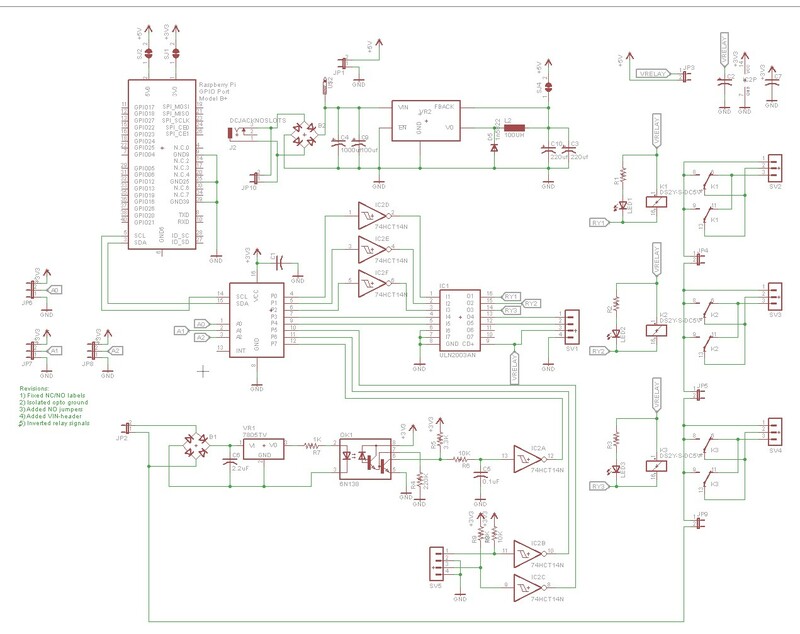 What is the use of the capacitors in this schematic?